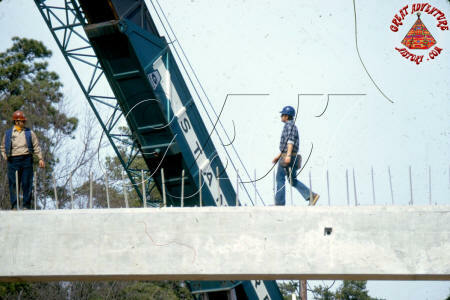 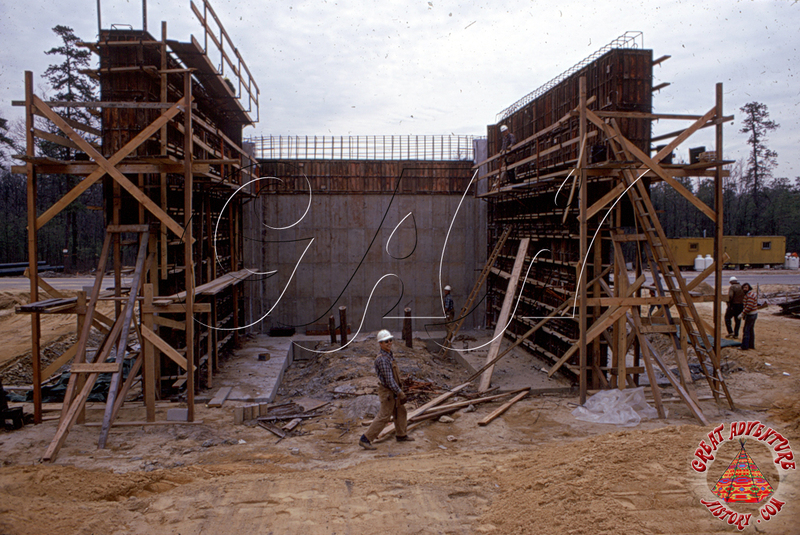 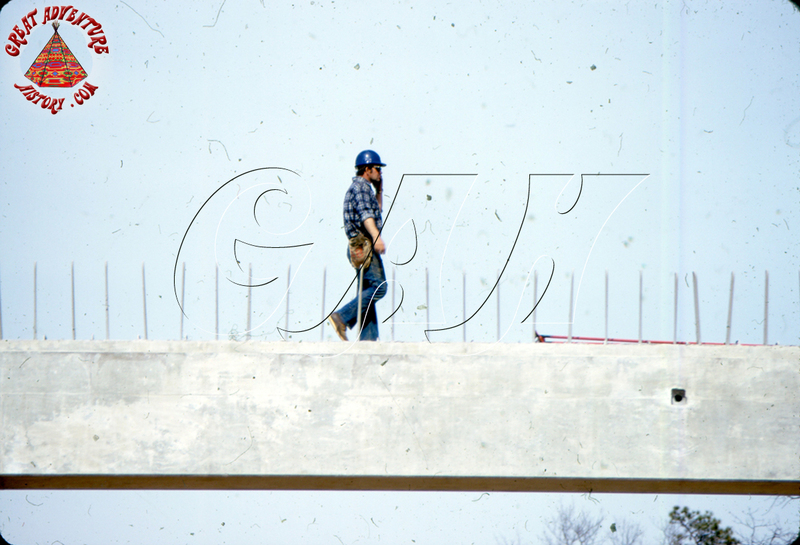 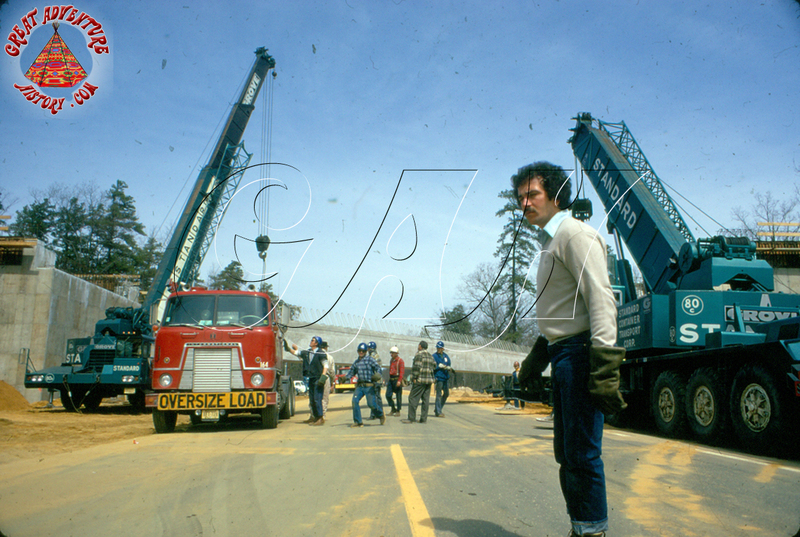 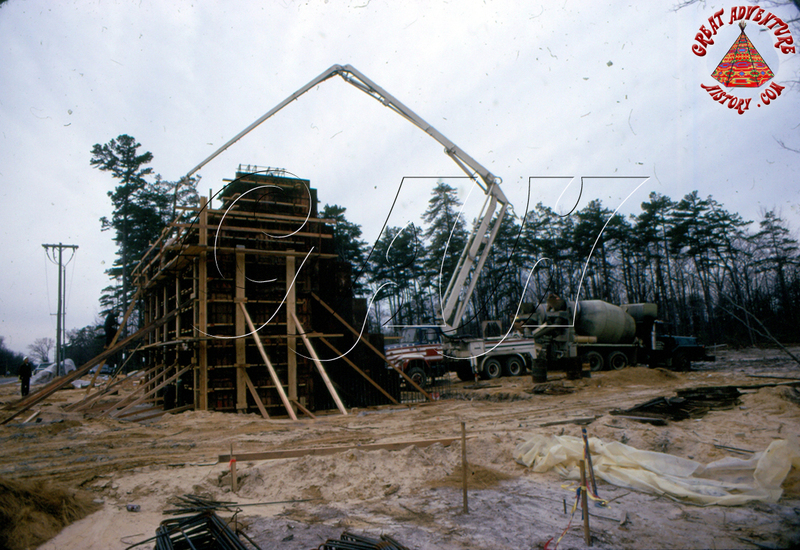 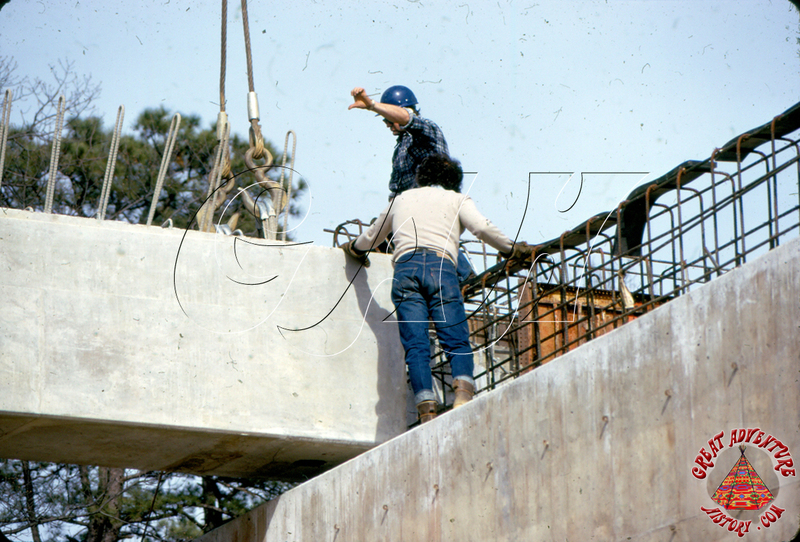 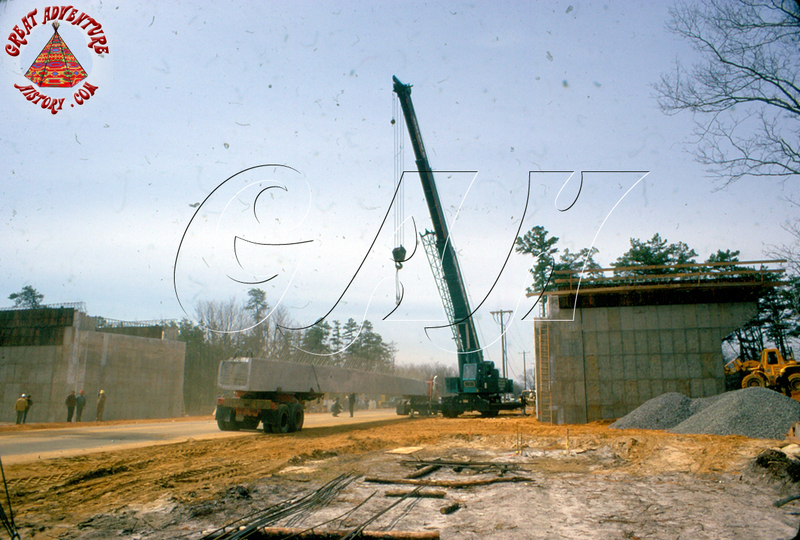 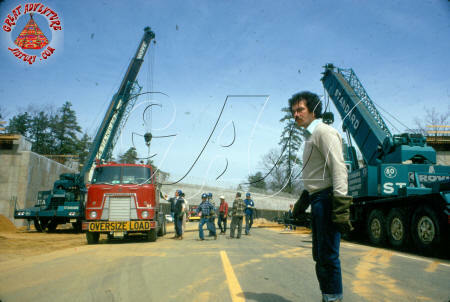 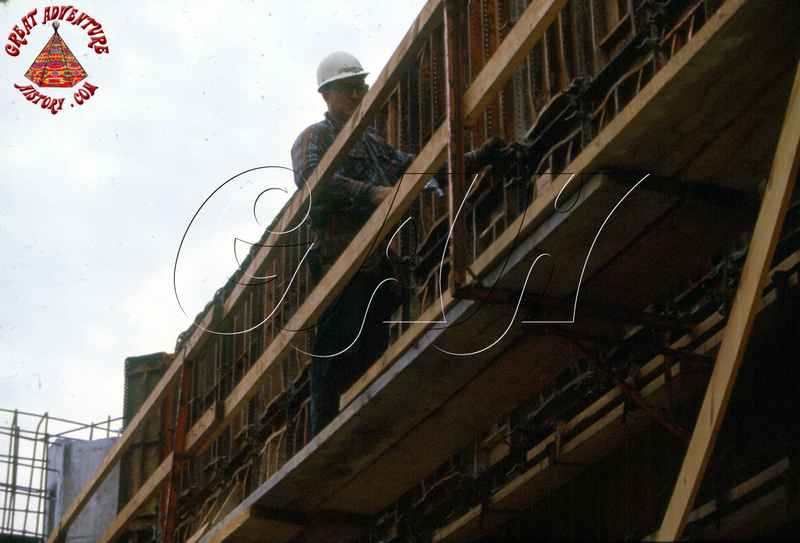 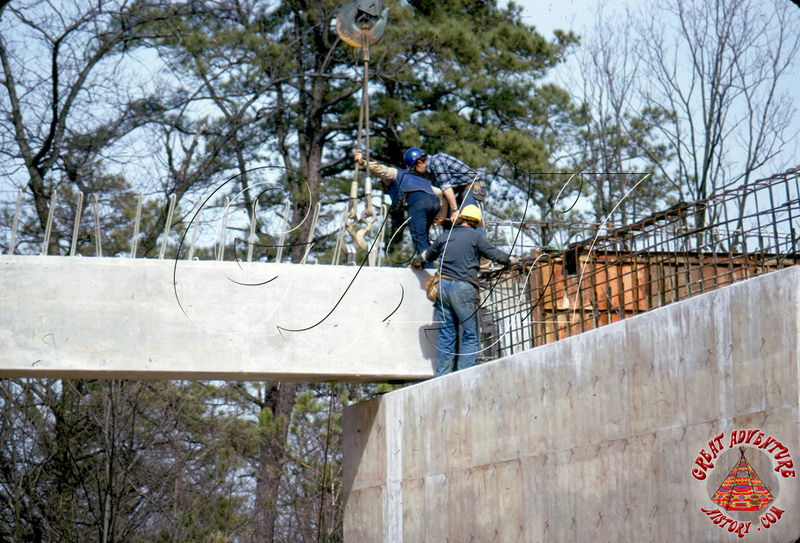 For the residents of Jackson, the world changed a lot in the spring of 1974 with the start of construction at Great Adventure. The "Disney World of the North East" promised to be the biggest thing in the history of Jackson Township and the massive property was going to hold the dreams of an eccentric man from Hollywood who had big plans. 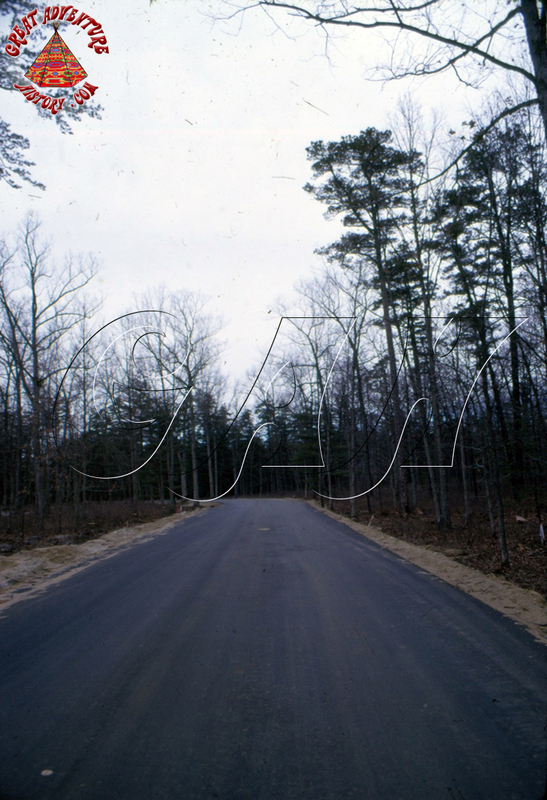 Very little of the construction could be seen by passerby's since great care was taken to leave wide swaths of forest between the park and the outside world. 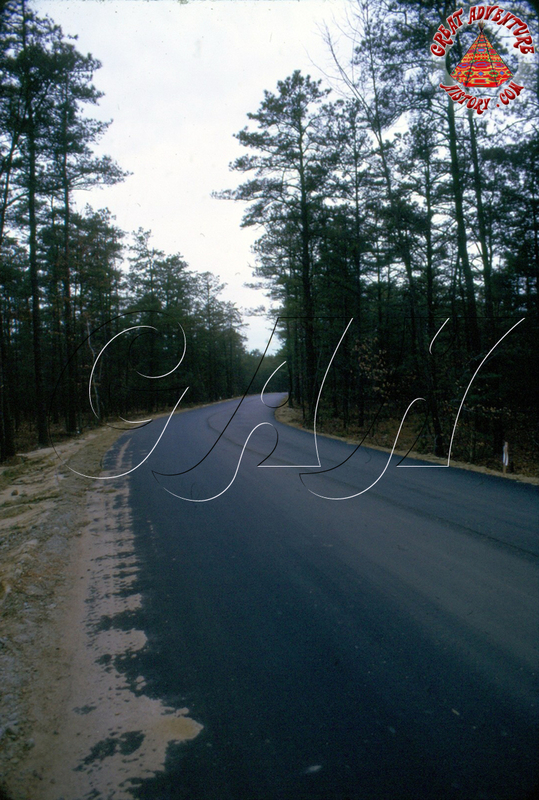 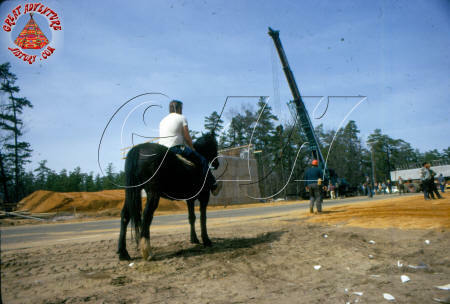 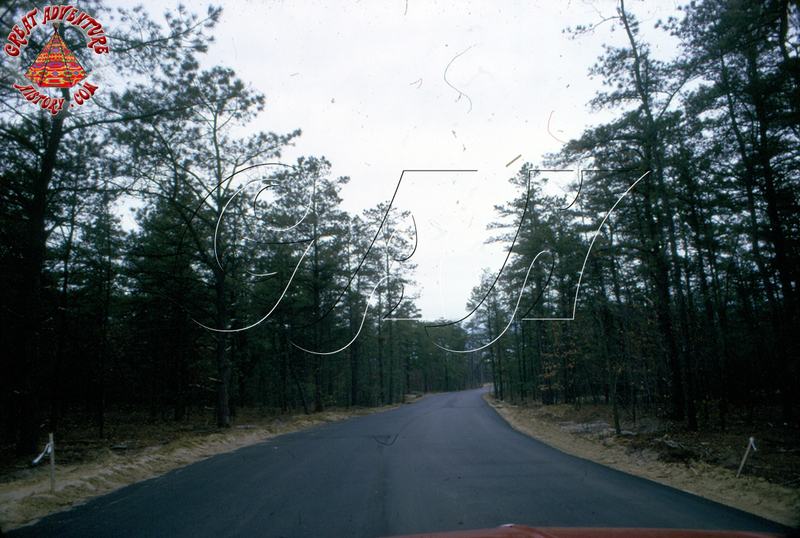 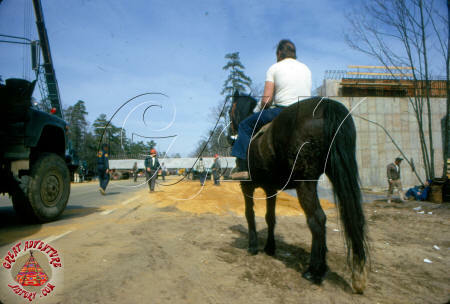 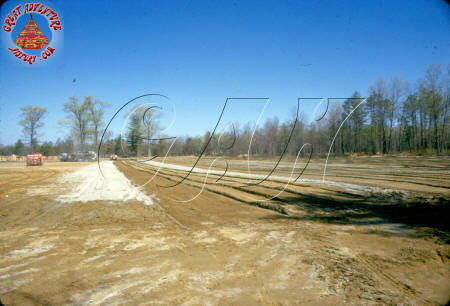 The first real signs of change came with the construction of the service road onto the property. 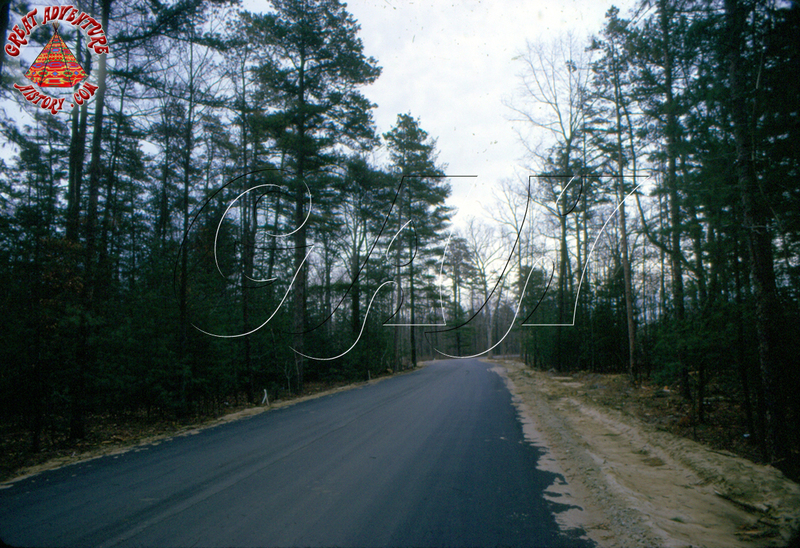 The service road would continue to be used as the service entrance to the park, but a guest entrance road was also needed to handle the expected volume of traffic. 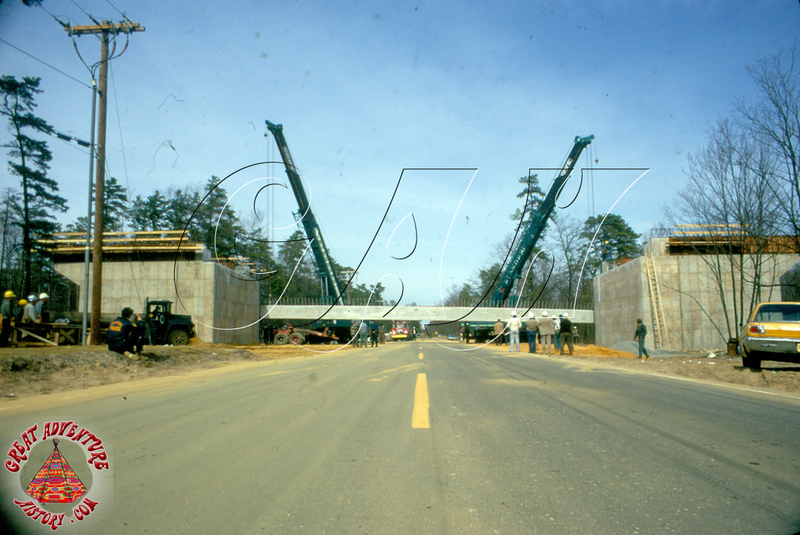 A major part of the park's entrance was to create an overpass so westbound cars on Route 537 heading for the park from the newly built Interstate 195 could make the southern turn into the park without having to install a traffic light. 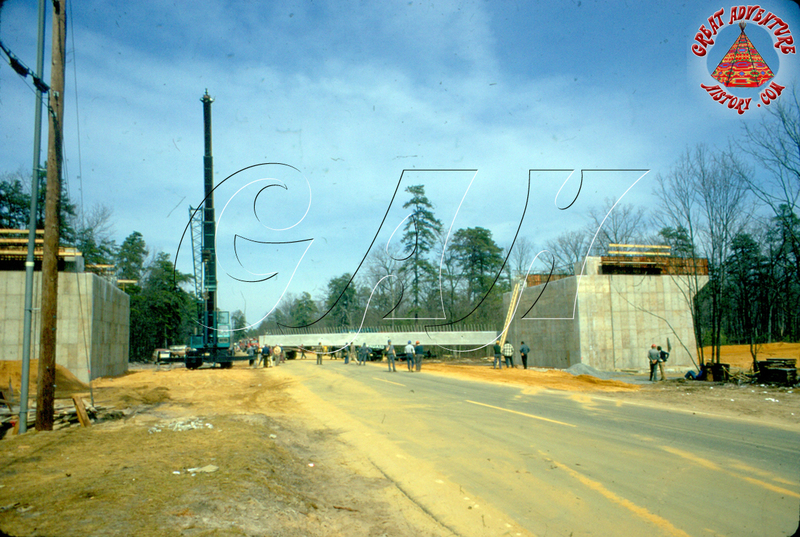 The two massive bridge abutments were constructed first, and were placed far enough apart that if needed the narrow Route 537 could be widened to four lanes to accommodate traffic. 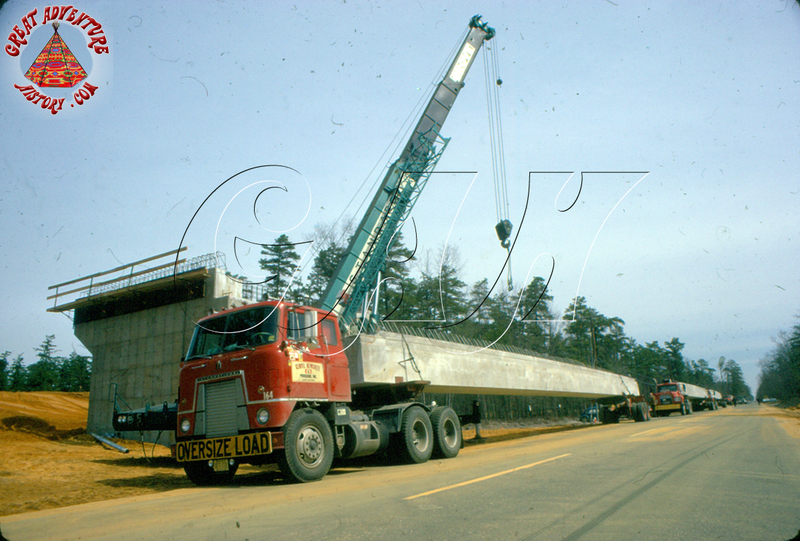 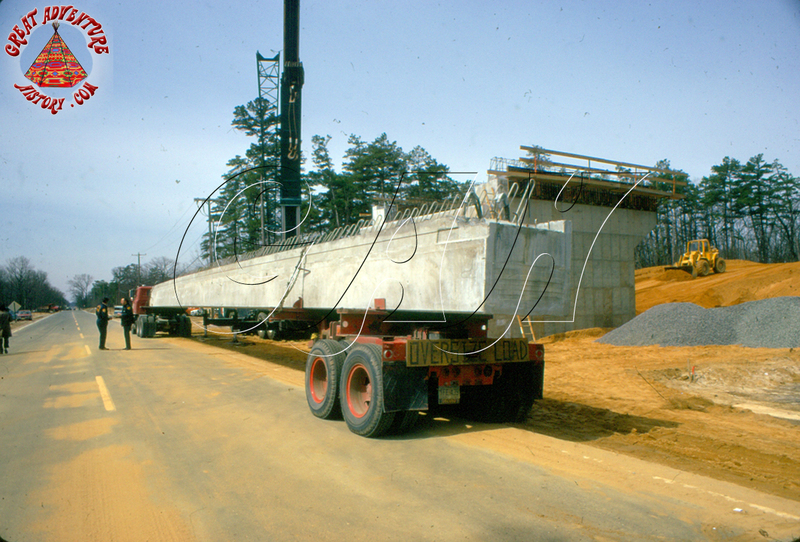 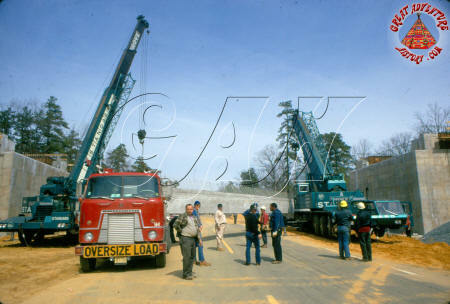 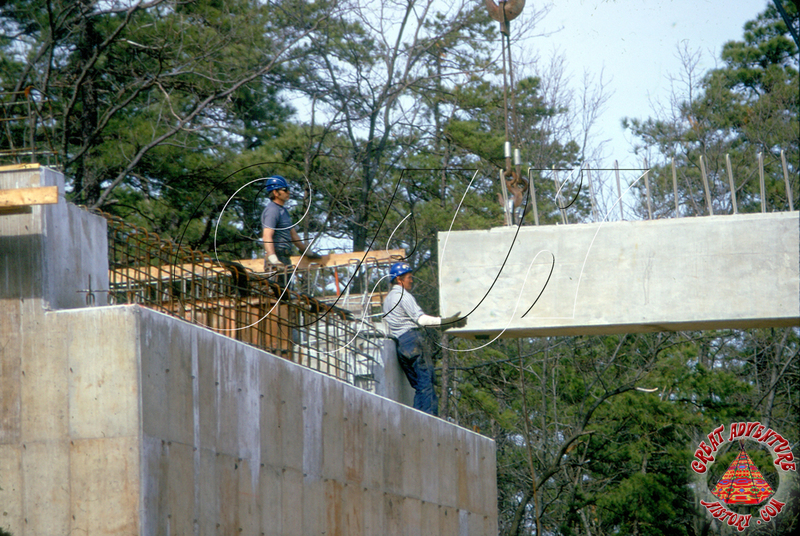 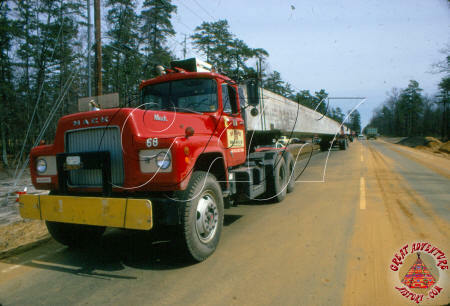 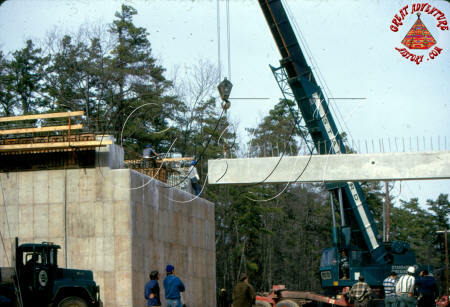 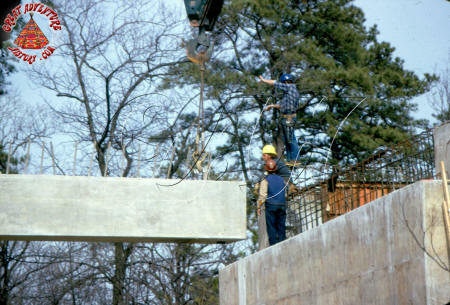 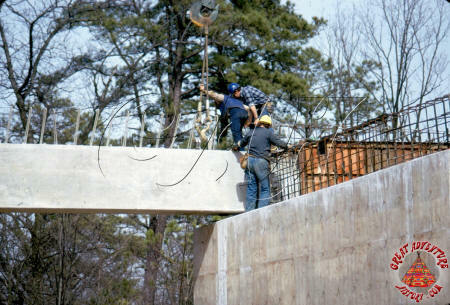 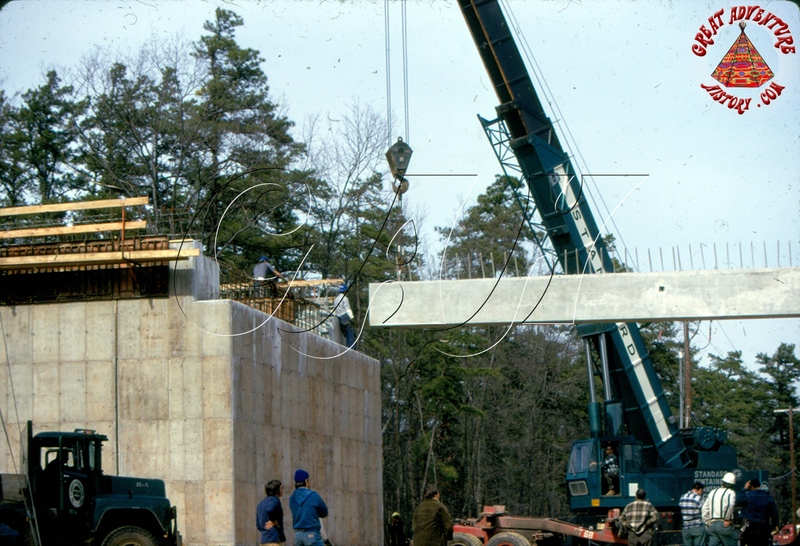 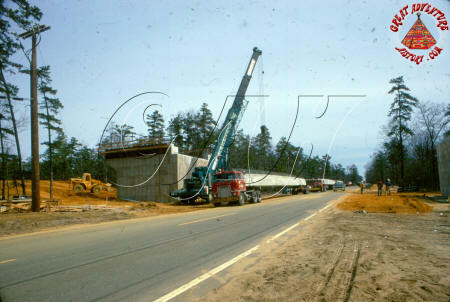 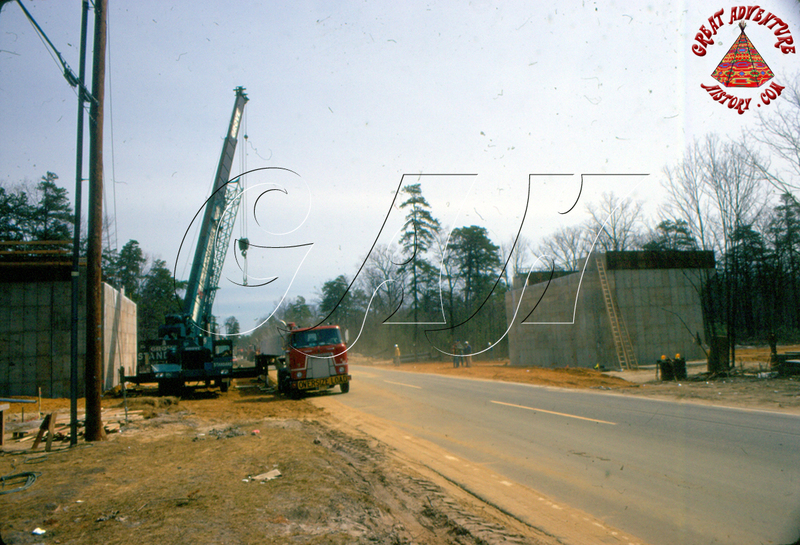 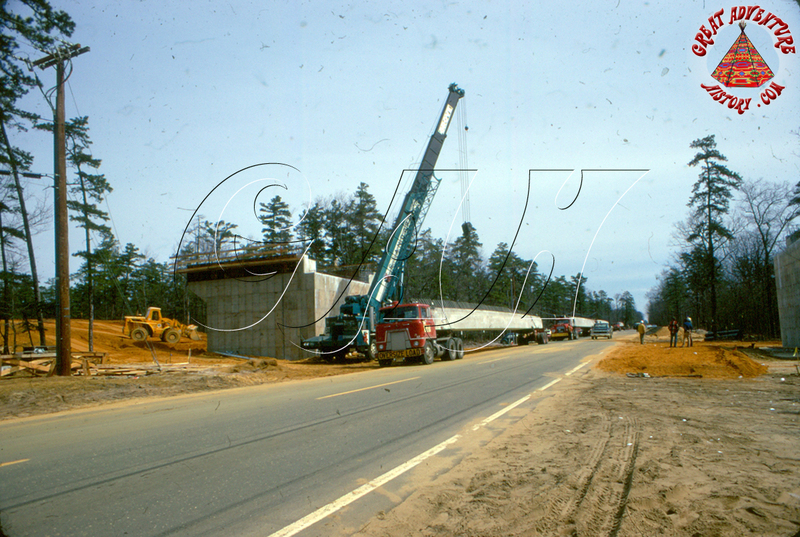 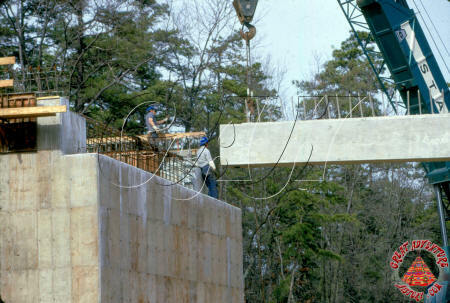 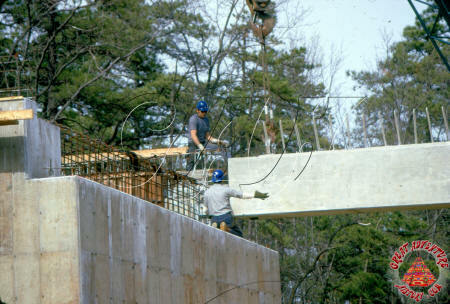 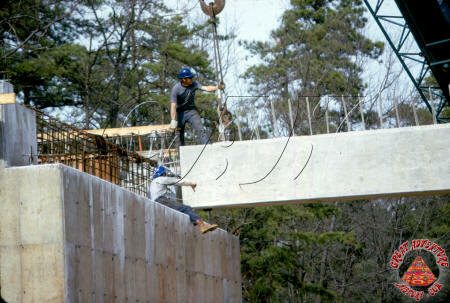 With the abutments ready, the pre-stressed concrete beams were delivered to the site on long flatbed trucks. 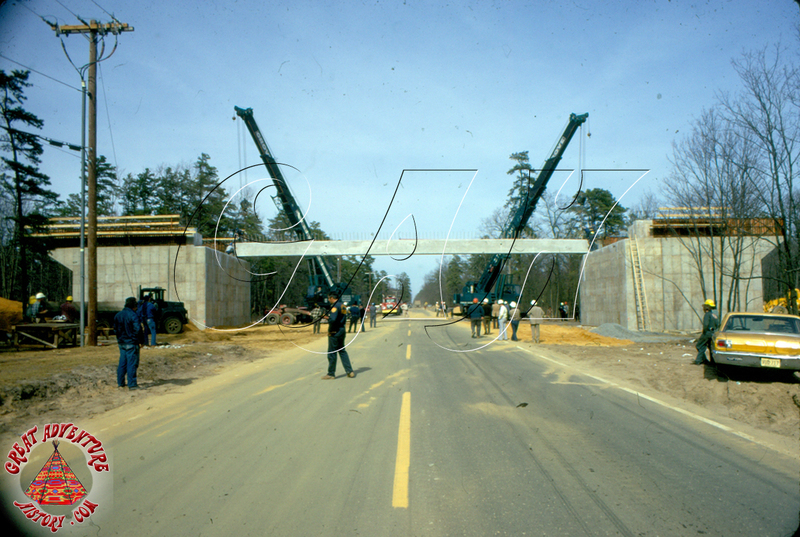 With two cranes on site, the road was closed as the massive beams were hoisted into place one by one. 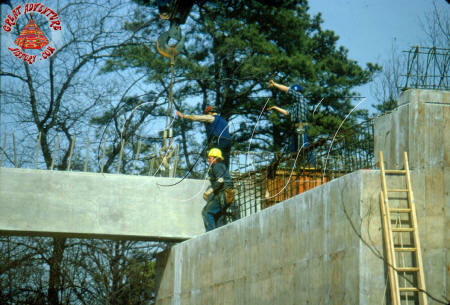 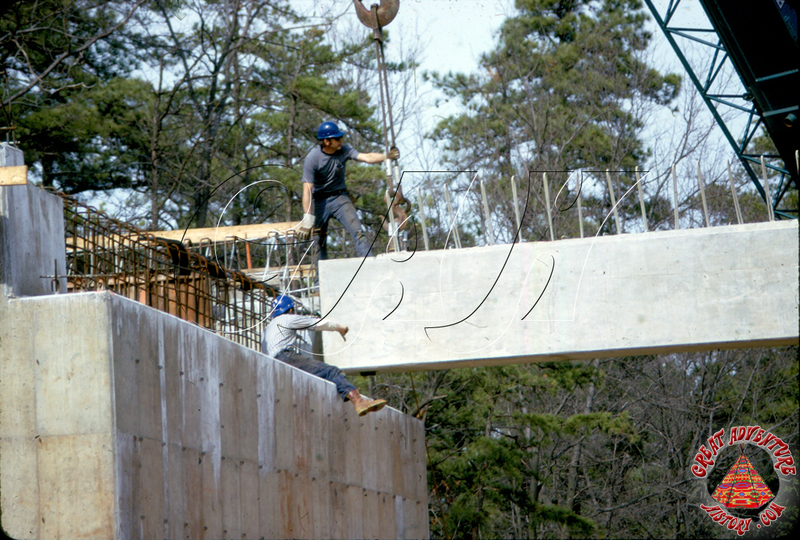 Once all the beams were in place the decking of the bridge could be installed and the giant earthen ramps were constructed on each side. The park entrance road was designed to wind through the woods to the entrance of the Safari and the Enchanted Forest parking lot. 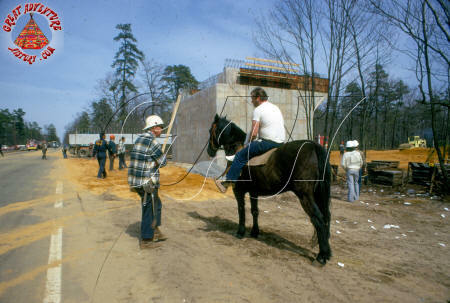 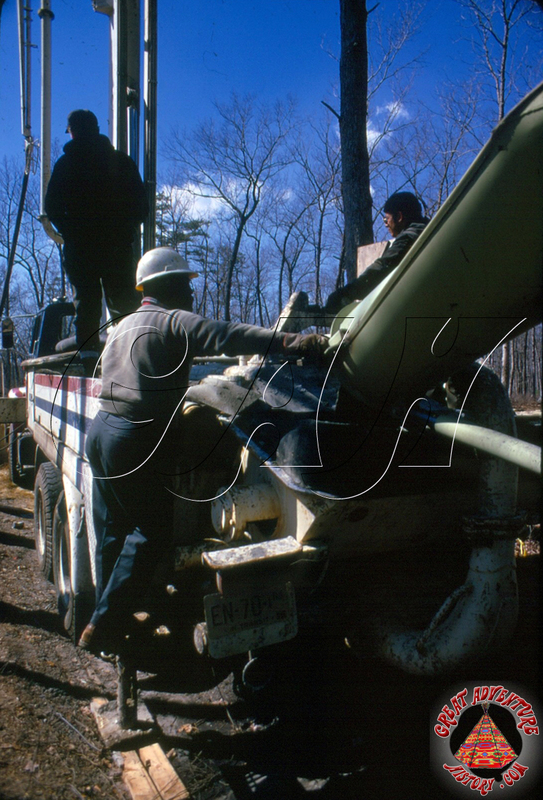 The biggest land clearing project in the park was for the Enchanted Forest parking area. The parking lot was designed as several smaller gravel areas separated by stands of trees dividing each section as well as creating a buffer between the parking area and the theme park.